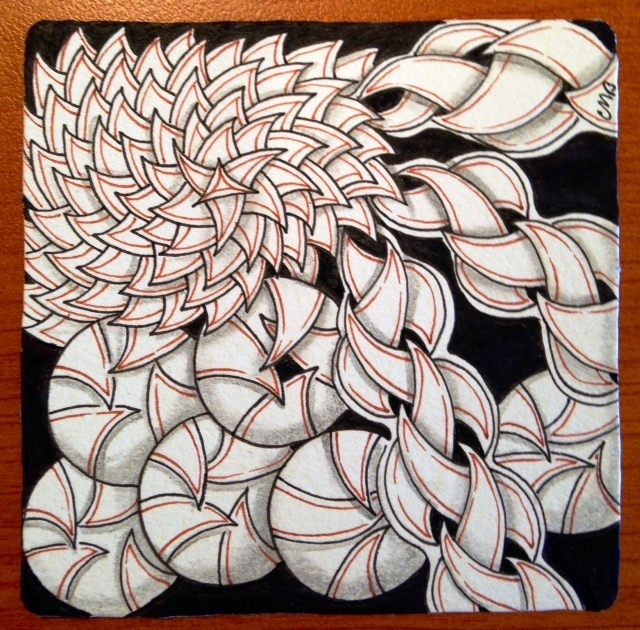 The Diva's Weekly Challenge #238: "UMT - Tri-bee by Beate Winkler, CZT"
Beate's fun tangle tri-bee spins with a whirl across the tile. As soon as it began to flow my thoughts went directly to punzel and ciquital which also use the same repetitive shape but in different ways. What a lovely surprise to see Beate's tangle as The Diva's challenge this week especially after meeting Beate in Hamburg last month. Beate gave Paul and I a great sightseeing tour of Hamburg, we enjoyed a meal together and fortunately Beate's husband Hajo was able to join us also. Thankfully they both speak English! Our workshop was a buzz, everyone made me feel very welcome with gorgeous presents and Zentangle inspired surprises. Enthusiastic tanglers travelled from around Germany, The Netherlands and Belgium to join us which was quite an overwhelming experience for me. Thank you Beate for the wonderful time you so generously gave us. Happy tanglers in Hamburg after finishing their marvellous mooka tiles. Meeting Mariët in Amsterdam was a treat. We had so much to talk about. Thank you to everyone who has purchased my book, I am absolutely thrilled with your response. Etsy site but hopefully that has been fixed now. If the costing doesn't look right please just send me an email and I'll work it out for you. Thank you again so much for the great workshop last month in Hamburg. Love your book and your tangles. Your book has a special place in my studio, it's such a great inspiration. Your tile with Beate's Tri-bee is wonderful, it matches so well with Cirquital and Punzel. Those Mooka tiles look fantastic. I will be asking you to help improve my drawing of Mooka when I'm next in Tassie. 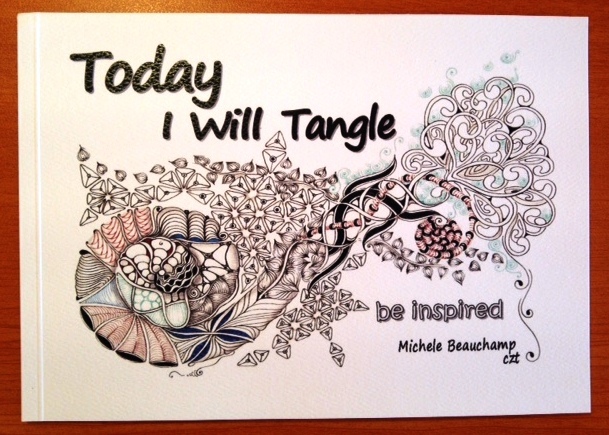 I would so love to own a copy of "Today I Will Tangle" ... How do I order one? Shelly I am in awe of your art work. You are truly inspiring. If you send an email to me pabmab4@bigpond.com I will send you a PayPal invoice and have your book ready for the next mail out.